Welcome to Baker Family Chiropractic Centers! 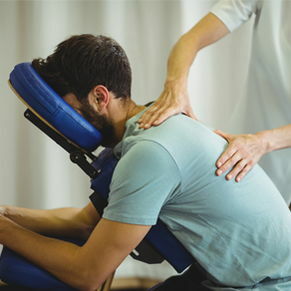 Patients seeking treatment at Baker Family Chiropractic Centers are assured of receiving only the finest quality care through the use of traditional, gentle chiropractic. Dr. Brian Herline and the staff have a genuine concern for your well-being! They listen... They care... They get results. If you are new to our website, please feel free to discover and learn about chiropractic wellness. If you are interested in starting your journey towards wellness please subscribe to our award winning newsletter. If you are already a newsletter subscriber, please explore the member wellness section of our website for wellness articles, resources, and health facts---specifically targeted by Dr. Brian Herline to your wellness needs and interests. NEW PATIENT SPECIAL- CONSULTATION, EXAM AND X-RAYS FOR $40! "When I first decided to try chiropractic care at Baker Family Chiropractic Center I was in constant pain. I was living on pain pills and my body could not take that anymore. My pain had been with me for months and after just a few weeks I was walking around pain free with no more pills. Thank you guys so much."